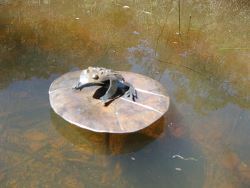 This Frog on a Lily Pad is made from mild steel that has developed a rust patina. 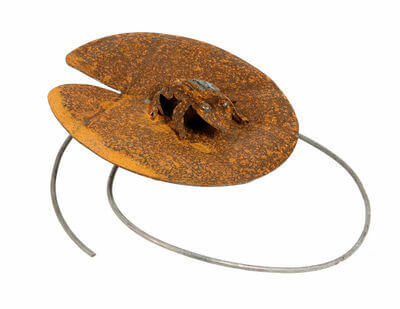 The wire is galvanised so it won't rust and can be adjusted to the height needed to enable the lilypad to sit just above the water. The lily pad is 180mm in diameter.